The new offerings will be on display at WasteExpo later this month. 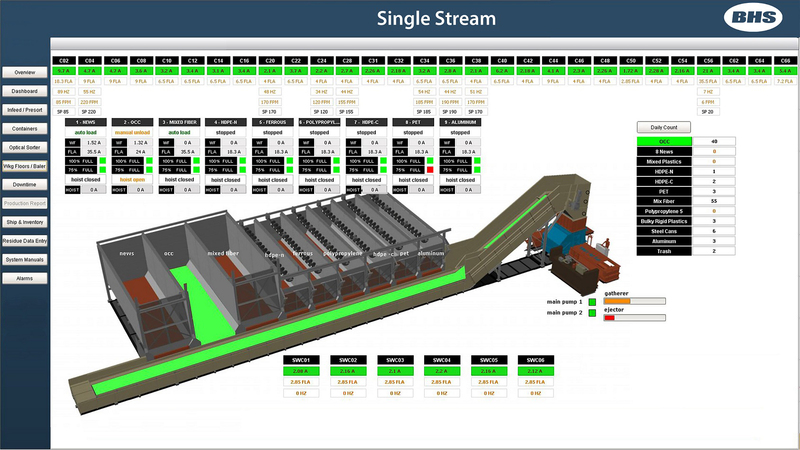 Eugene, Ore.-based Bulk Handling Systems (BHS), in collaboration with its subsidiary National Recovery Technologies (NRT), has launched two new technologies that will provide materials recovery facility (MRF) operators unprecedented levels of information about their businesses. The Max-AI Visual Identification System (VIS), which is powered by Max-AI technology, provides real-time material identification in recycling plants, and the Total Intelligence Platforms provides operators and other stakeholders with powerful MRF and business intelligence. Max-AI VIS, a cost-effective way to monitor material composition in the sorting process, uses deep learning technology to employ both multilayered neural networks and a vision system to see and identify objects similar to the way a person does. It allows operators to verify the quality of end products or to monitor the quantity of recyclables in a MRF’s residue as it leaves a system. Operators can access the data, in both real time and trending, through the Total Intelligence Platform, and they can compare composition for the day, week, month or any other period they choose to track key performance indicators. The Total Intelligence Platform provides information to track the entire recycling process in a visual and easy-to-use interface. The flexible platform monitors and tracks throughput, uptime, downtime events, material composition, motor amperage and performance data from optical sorters and equipment powered by Max-AI. It also provides operators with information external to the recycling system but vital to operational success, such as inbound and outbound weights, bales shipped and bales on hand by commodity. These two new technologies, along with the Max-AI AQC (Autonomous Quality Control), will be on display at WasteExpo.